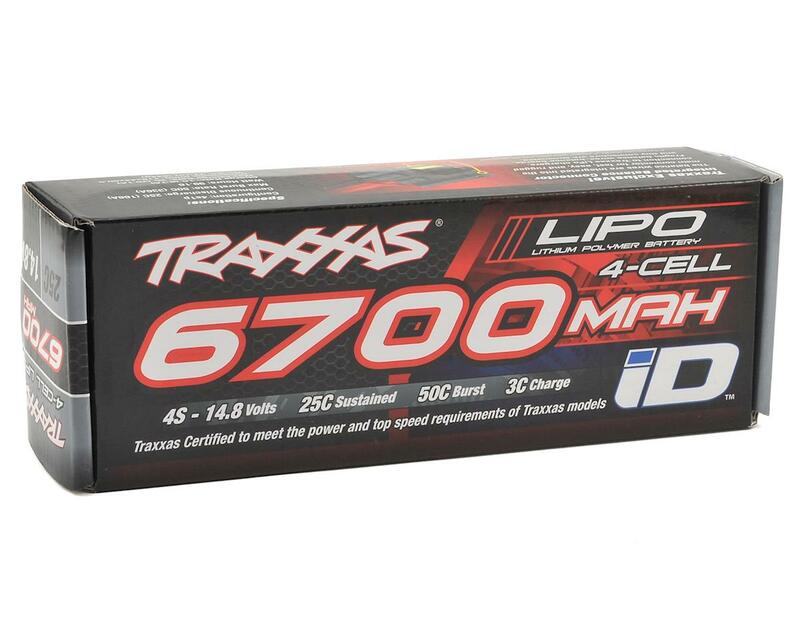 The Traxxas 4S "Power Cell" 25C LiPo Battery delivers 6700mAh capacity and 50C burst discharge rate for power, performance, and runtime worthy of the X-Maxx. Built using the same sturdy construction methods as the Traxxas 2-cell and 3-cell batteries, but checking in at over 30-volts in 8s configuration, Traxxas 4-cell LiPos will stand X-Maxx on its wheelie bar and have it catching massive air as fast as you can grab the throttle. These batteries are meant for the Traxxas XMAXX 8S Truck. They are huge, last a long time and fit perfectly where they are designed for. Absolutely buy the kit with the charger it's a deal @ $299 for the batteries and charger. The charger is $100 by itself. When I buy spare batteries I WILL by another kit. If you can get these batteries to fit anywhere else, it'll take some fab skills to do it. There are bigger more powerful batteries, however, they cost nearly twice as much. 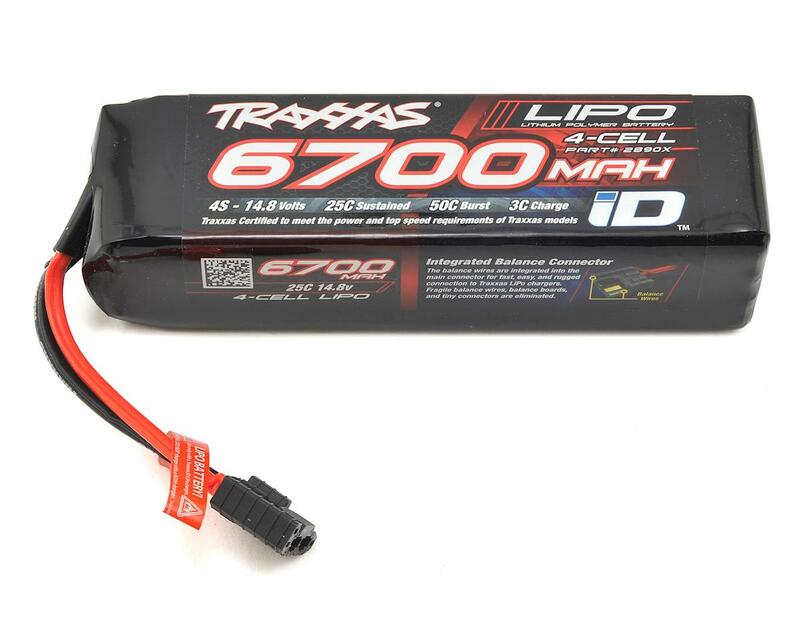 While these batteries are on par with other Traxxas Lipos, they are HUGE!! They don't fit in anything!! The EZ peak ID charger is fantastic, the app makes it that much better!!! My ONLY complaint is that the batteries are too big (long). Buy the ez peak for sure!! I feel like I wasted $280, between my Mugen MBX7 Eco, Losi Ten-SCTE. Stampede 4x4, Slash 4x4 and erevo, these batteries do not even come close to fitting!! and yes, all my cars will run 4S lips with Castle Creations ESC's. Im out $280!! Highly disappointed!! !